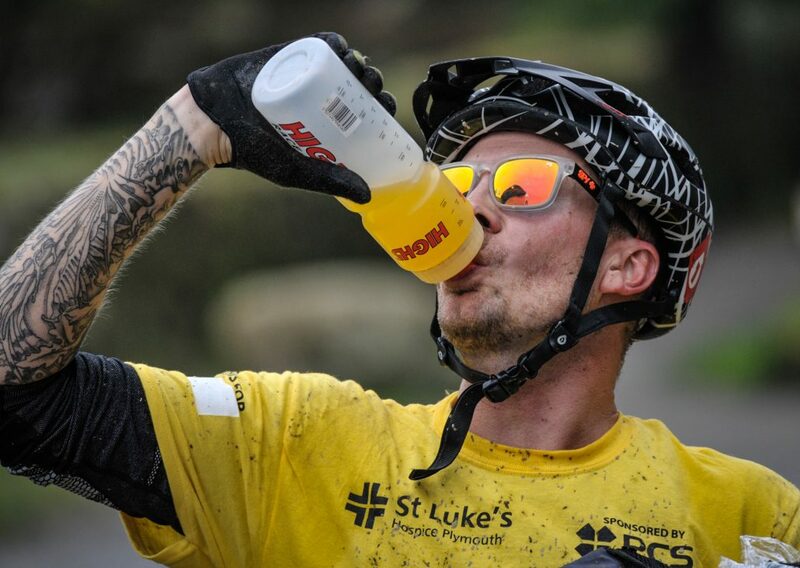 To mark the end of Hospice Care Week, it was mud, sweat and gears this weekend as over a thousand intrepid cyclists came together to pit themselves against the wilds of Dartmoor for the St Luke’s Tour de Moor cycling challenge, generously sponsored by Print Copy Scan. On Sunday 15 October the annual off road bike challenge – a complete sell-out – raised an estimated £80,000 thanks to the 1,300 participants who took on the off-road 11km, 23km or 52km routes from Harrowbeer Airfield, Yelverton. For many it wasn’t just about a fun muddy challenge across Dartmoor, but a chance to remember a loved one and witness first hand how far St Luke’s care reaches beyond Plymouth. Rebecca Kelly, Events Fundraiser for St Luke’s, said: “With almost half of our care taking place at home, the bikers will have travelled through some of the most remote Dartmoor villages and experienced the challenges our nurses face every day to provide this care at home, day or night and in every type of weather imaginable”. It is this care that drives people to get out of bed at 6am on a misty Sunday morning, hop on a bike and do their bit for charity. “Hats off, or should I say helmets to all the marshals and volunteers who gave up their Sunday to help out. The 52km was quite tricky in places and very hard going up past the scout hut to Princetown, but best of all plenty of mud a puddles!” said Lindsey Lee Pritchard from Honicknowle. St Luke’s would like to thank local firm Print Copy Scan for their sponsorship of this year’s event, as well as recognising the kindness of the Maristow Estate and Buckland Abbey for the use of their land, the Devon and Cornwall Rescue Team and St John’s Ambulance for their vital support and the Plume of Feathers pub for help with facilities. St Luke’s provides care for people dealing with life-limiting illnesses everywhere from Salcombe to East Cornwall, via Tavistock and the moors, supporting families as much as patients. The charity supports around 3,500 people and their families each year, vital services which it needs to raise over £4 million to provide.